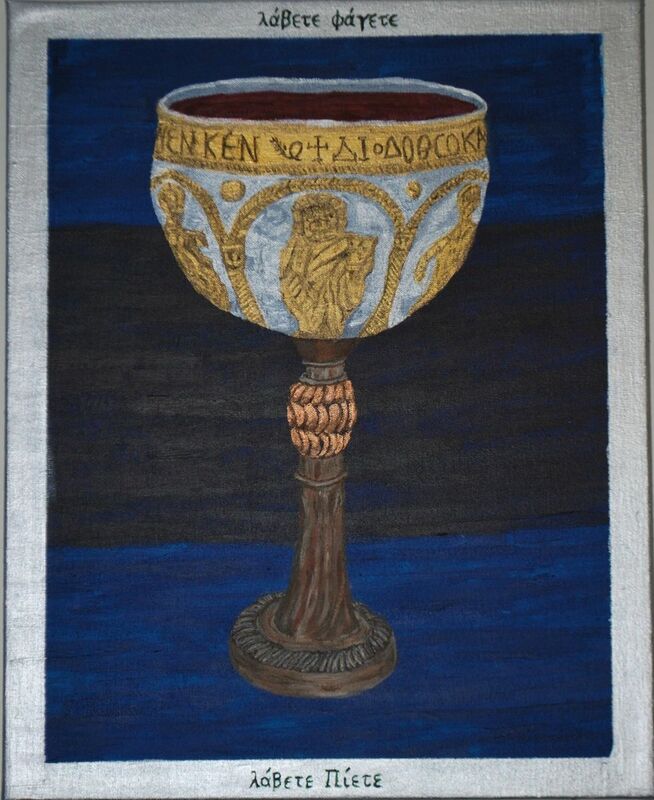 Abstract Painting: "Holy Thursday: Institution-Choose Wisely"
On Holy Thursday in the Orthodox Church, the focus becomes the Last Supper, and the institution of the Eucharist; the giving of Christ's own flesh and blood for nourishment of the soul. "Take, eat! Take, Drink!" 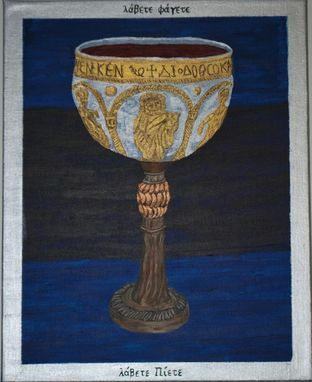 The chalice top is based off of a 6th century chalice found near Antioch, depicted with silver and gold--the culmination of two thousand years of tradition, and the bottom is painted to look as if carved from wood; symbolic of the humble origins of Christ's earthy incarnation as a woodworking peasant from Judaea. And yes, the title is a nod to Indiana Jones and the Last Crusade. Also of note; the background is very much inspired by Rothko.